In this episode we sat down with Paul Medel aka the Elknut and talked elk calling of course!! Paul is an amazing elk caller who over many years of experience has learned the language! His crew has called over 1000 bulls in over the years so listen up if you want to put some meat in the freezer this elk season!! Enjoy! In this episode we sat down with DJ Zor Arizona backcountry hunters and anglers co-chair. We talk about the great American conservation model and what we as sportsman and women do to help support that model. We talk about public lands and the issues facing us in modern times compared to those times at the turn of the century. 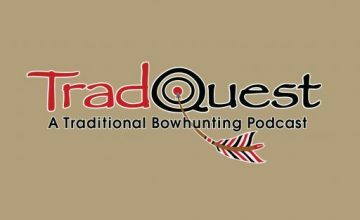 We also talk about traditional bowhunting of course as DJ has recently made the switch and is very passionate about bowhunting and the great outdoors we are blessed with and with helping keep it that way. Listen up and get involved…enjoy!! In this episode we sit down and discuss our upcoming hunts, new gear tips, scouting and what tradquest is up to. Enjoy!